If it makes sound, we can help you make it sing with our quality custom handcrafted solid-core silver/copper audio cables and accessories. We are nonconformists who dare to challenge conventional wisdom in everything that we do. We design products that are unlike any other audio brand available today—our products are made to order, crafted to last a lifetime of listening pleasure and built to a standard by which other audio cables, regardless of price, may be judged. We started handcrafting cables in 2005 more as a personal pursuit due to disappointing performances from expensive solutions available at the time. Over time, we have evolved into a premium e-commerce site that caters directly to audiophiles globally with a wide assortment of custom handcrafted audio products. 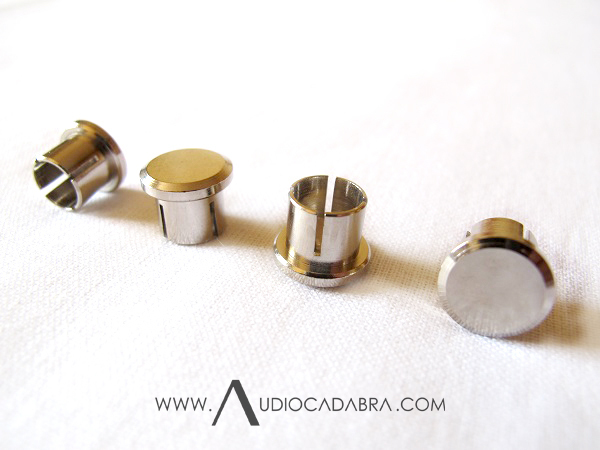 Audiocadabra™ custom handcrafted audio products are available in many grades of value. We guarantee unbeatable value, quality and performance regardless of the grade you select from our catalog. We achieved this by eliminating virtually all potential bottlenecks from the way we conduct our business—with a proven information-age direct-to-customer business model that eliminates entire layers of markup within the supply chain. We spend less on marketing, packaging, distribution… and focus on where it matters the most—our products and our customers. We are 100% focused on the quality of our products, after sales and customer satisfaction. Rest assured, we do everything possible to focus on every individual customer’s needs and ensure every one of our customers are satisfied with the solutions offered. Our meticulously handmade cables use only the highest quality genuine parts, tools and standards available in the industry. We specialize in audio cables for audiophiles and bulk 99.99% pure solid-core silver and 99.99% pure solid-core copper PTFE wires for audio manufacturers. Our simple looking and affordable cables are very well researched, tested and engineered products. We manufacture wires to specification with carefully selected 99.99% pure solid-electrum, 99.99% pure solid-core silver and 99.99% pure copper conductors sheathed in PTFE (a.k.a. Teflon). Our cable designs have resulted from careful evaluation of the balance between performance and penalties that every cable design is subject to, and we strive to achieve our motto in each and every cable that we build—the closest approach to the original signal. We believe in a less is more approach to everything that we do! 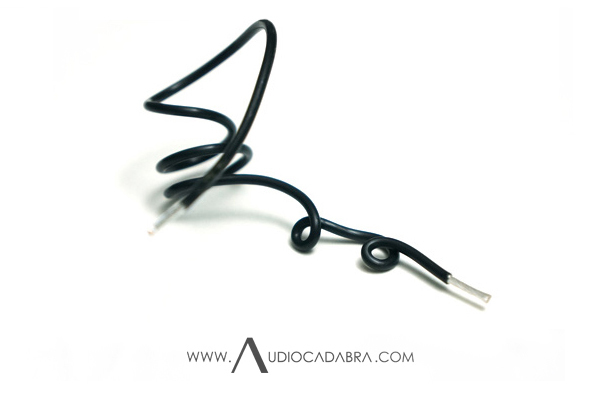 Audiocadabra™ came into existence after a lifetime of research, testing and listening. High priced, fancy looking, mass manufactured cables and their ‘beefed-up’/’fancy-looking’ approach don’t always result in an accurate and emotive listening experience. We discovered, from practical experience, that the quality of cables can make all the difference in the performance of an audio system. Our customers value the ability of our cables to unleash the hidden performance of their audio systems, which also helps them to appreciate and emotionally connect with the audio being reproduced. Simplicity is the ultimate sophistication! We’ve turned conventional cable making wisdom inside out, revisiting and reviewing everything we knew–from type/thickness of dielectric used, interference reduction techniques/geometries, optimizing electrical parameters by using various types of metal conductors/connectors in different gauges to cable construction/termination methods–the result is an easy to use and simple looking cables that enthralls and transports you to where the recording actually took place. As a pioneering Indian brand of handcrafted audio cables, we are the first in the subcontinent to handcraft audio-grade Indian Power Cords, Dual-Headed USB Cables, Sennheiser Headphone Upgrade Cables, solid-core pure silver cables… to name a few of our achievements. We are constantly trying new ideas/designs and testing the concepts in real world audiophile conditions by actually listening to our cables before we build it for our customers. We’ve spent a lifetime developing and perfecting our handcrafted cables, and hope they’ll help you enjoy a lifetime of music! Thank you for your interest in our products and for visiting our website. We invite you to experience the closest approach to the original signal with our custom handcrafted solid-core silver audio cables & accessories! Grade D: Maximus™, visually the Red Range, uses carefully selected 99.99% pure stranded-core copper conductors sheathed in PTFE (a.k.a. Teflon) dielectric. 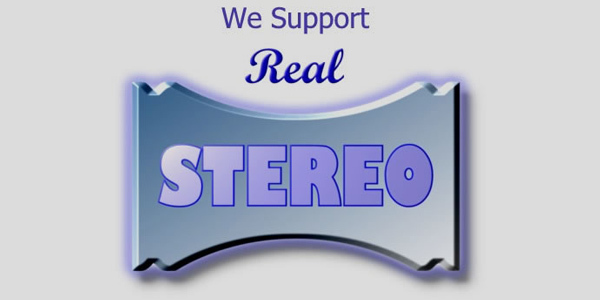 It is our starting point that offers higher than expected sound quality than the competition. They are a good choice for audiophiles on a budget. Grade C: Optimus™, visually the Black Range, uses carefully selected 99.99% pure solid-core copper conductors sheathed in PTFE (a.k.a. Teflon) dielectric. These cables provide neutral spectral balance, accurate dynamics, purity of tone, blacker background, wider/deeper soundstage, better separation of instruments, are more resolving and have a more tactile presentation. They are a great choice for discerning audiophiles. Grade B: Ultimus™, visually the White Range, uses carefully selected 99.99% pure solid-core silver conductors sheathed in PTFE (a.k.a. Teflon) dielectric. These are top tier custom cables that are still relatively affordable. These cables provide neutral spectral balance, life-like dynamics, holographic soundscape, enthralling articulation, analog sounding and have an emotive presentation. They are capable of competing with the very best cables that are currently available. They are an ideal choice for seasoned audiophiles*. Grade A: Xtrimus™, visually the Grey Range, uses carefully selected 99.99% pure solid-electrum or pure 24k Au conductors sheathed in PTFE (a.k.a. Teflon) dielectric depending on the design used. Xtrimus products are offered by pre-screened invitations only. These are ultra luxury custom accessories, that appreciates its value over time, recommended for the cost-no-object audiophiles*. Shorty is the short version of any grade/series—these sport the best designs and are offered in lengths shorter than 0.5m. Plus is the improved version of any grade/series—these sport thicker conductors or better plugs or both. Ultra is the premium version of any grade/series—these sport tweaked designs that may also include tuning modules. Prime is the best of any grade/series—these sport flagship designs that may be brass-less or solder-less or both. *Some of the products, from our premium grades that are crafted in limited quantities, may not be listed on our website as they are offered first to existing customers/partners via pre-screened invitations only! Detailed instructions, on how to ship returns back to us, will be included in the RA email. The expectation is that the returns are shipped out within 01 week from when the RA is approved. All Audiocadabra™ branded products, designed and crafted to give you a lifetime of listening pleasure, come with a lifetime of support and service backed by a lifetime warranty. 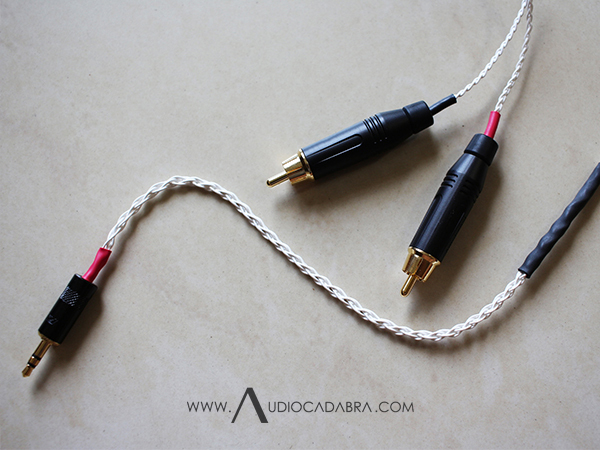 Because we have confidence in the quality, design and manufacture of our custom handcrafted audio products, the vast majority of Audiocadabra products, including all our cables and accessories, come with a Lifetime Warranty – this means we will cover against manufacturing faults and defects for a minimum of 20 years. Audiocadabra warranty includes a lifetime of aftersales support and service. If your purchase proves to have manufacturing defects on delivery, Audiocadabra will provide without charge the parts and labor to remedy any such defect. Returns or repairs are applicable as stated in the product listing. Shipping and any other fees that may apply such as customs/courier brokerage etc. to be borne by the customer. Damage due to unwise handling/an accident can be repaired by contacting us and obtaining a return authorization. Once we receive the product, we will inspect the damage, provide you with an estimate that will include the cost of any required materials, labor charge and shipping fees. Our standard labor rate is USD 30 per hour and worldwide EMS shipping charge is a flat rate of USD 29. Exceptions to this policy apply to products that have been intentionally damaged, taken apart or modified. Any signs of misuse or abuse will automatically void any and all warranty privileges. The warranty applies to the original purchaser of the goods and is not transferable. We are constantly trying/developing new innovative handcrafted products and we also make improvements based on our customer’s feedback. Our products’ specification are subject to change without notice to improve reliability, function, design or otherwise. Audiocadabra reserves the right to make changes in design and improvements upon its products without assuming any obligation to install such changes upon its products previously manufactured. No other warranty may be implied. And if, for whatever reason, you have a problem, contact us – we are more than happy to assist you and we’ll always be there for you. We understand that you don’t want to waste the money you’ve invested in your audio cables, so we offer up to 60% trade-in value, of what you paid, when you return your used/old Audiocadabra cable and regrade to a new, higher grade, Audiocadabra cable. We suggest that you order your new cable, only after getting a trade-in approval and quote from us via email, to be able to compare it with your existing cable for total satisfaction. When you are satisfied with your regrade, send your original cable back to us, at your leisure, as per detailed mailing instructions that will be emailed to you. Regrade your cables within one year: Receive up to 70% of what you paid. Regrade your cables within two years: Receive up to 60% of what you paid. Regrade your cables over two years: Receive up to 50% of what you paid. Non-standard cables (lengths and terminations which are not listed in our catalog) receive 10% lower trade-in value. So, for example, if you regrade a cable that you bought within 2 years you will receive up to 40%, rather than 50%, of the original purchase price. 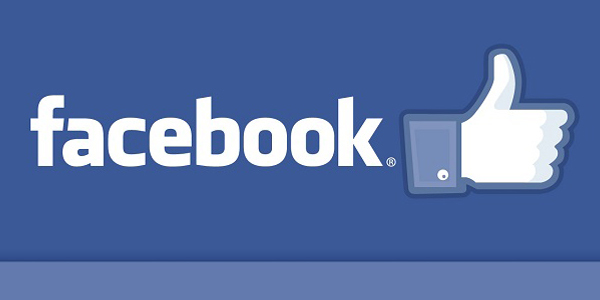 By ‘Regrade’ we mean ‘like for like’ (e.g. from a pair of Maximus Analog RCA Cables to a pair of Optimus Analog RCA Cables or a Optimus Dual-Headed USB cable to Ultimus Dual-Headed USB cable), with the new cable being of a higher quality than the old cable and of similar configuration. The trade-in value is determined by the age of the product, originally purchased, and is adjusted against the list/regular price and not the selling price (which may/may not include a discount) of the new product being regraded to. Exceptions to this policy may apply with certain orders. Approval/disapproval of the trade-in offers are strictly discretionary and our decision is final. The power cables, sold on our website, are designed for indoor use with home audio/video equipment only. They are not recommended for outdoor use and for use with any other heavy/industrial electronic equipment. User discretion is advised to ensure that our power cables are used carefully in a dry and clean environment to ensure compliance with the customer’s local safety standards. Gold/silver plating used in our products are only meant to protect the contacts from corrosion and is meant to last a lifetime when used under normal conditions. No aftermarket contact cleaners, other than dry wiping cloth, are recommended for use with our products. In the event that the plating wears off, we recommend that the connector be replaced by sending the cable back to us. Regular service charges apply. 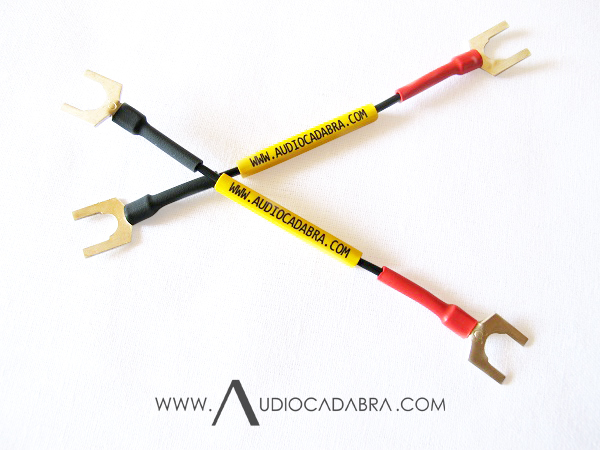 The length mentioned for Audiocadabra products are that of the wires used. 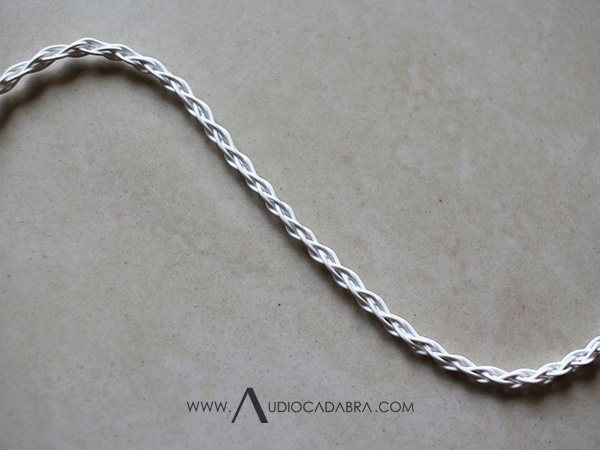 Final product may be up to +/- 10% longer/shorter depending on the wire gauge, type of plugs/connectors and hand-woven braid used. If in doubt kindly order longer lengths to avoid disappointment. Price matching/counter offers, where eligible, are only permitted before an order is placed. Trade-in/regrade offers applies to repeat customers and are permitted only via email authorization. 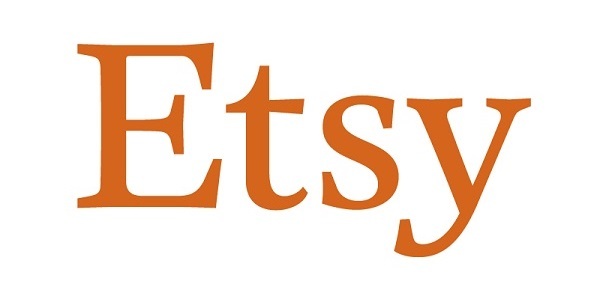 Orders will be shipped out to the same address as what is mentioned on PayPal. If there is a change of address kindly update the same in PayPal before placing an order. Domestic orders, from India, may attract additional charge due import duty or local taxes or both where applicable. 15 days money-back guarantee is applicable for overseas orders only. Domestic orders, from India, can be processed via direct bank transfer. Currency exchange is calculated at the rate of INR70/USD. Exchange rates will be revised, from time to time, without notice. When an order is placed a confirmation email is sent within 48 hours, with specs of the custom order, this also provides an opportunity to amend the specs if anything is amiss/incorrect at the time of ordering. If we do not get any response, in 24 hours, we shall consider that the order is correct and will continue to process and complete the order as is. Our responsibility for damaged/lost merchandise ends after we deliver to courier. Unless you purchase shipping insurance (contact us for pricing), all shipment loss/damage is at your (buyer’s) risk. Tracking the order online, with information provided, and collecting the order from the local post office, after delivery is unsuccessfully attempted, is the buyer’s responsibility. Orders returned back to us due to such circumstances will not qualify for refund. Repacking and reshipping cost of USD 39 will apply if the order has to be resent. We will endeavor to transfer to the customer the benefit of any warranty/guarantee given by the manufacturer of third-party branded products listed on our ecommerce website. Estimated date of dispatch will be emailed to you at the time confirming an order/after accepting the payment. Any further delay in the estimates given will be updated in PayPal or notified via email. We are 100% committed to client confidentiality! We will only use your information to process your order, send product updates, and send package tracking information to you upon shipment. We promise to never sell, rent, lease, give or loan information you give to us to any third party. We reserve the right to waive this pledge in cases of fraudulent/unlawful activity. Our product designs, specifications and pricing are subject to change without notice. We reserve the right to deny a sale, trade-in/regrade offer or any of our ‘TOS’ to anyone without prejudice and without notice, at our discretion, to protect our business interests. Our decision is final! 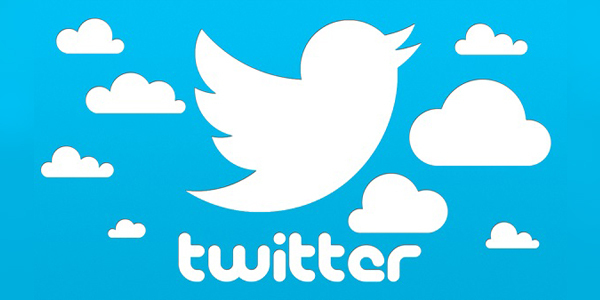 Our Terms Of Service (TOS) are subject to change, depending on market conditions, without notice. We offer support only for products purchased directly from our website — audiocadabra.com. 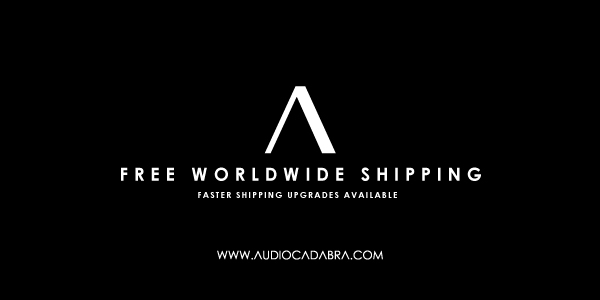 Enjoy free worldwide shipping, via international registered post, with all orders from Audiocadabra. Enjoy a free shipping upgrade to worldwide Express Mail Service (EMS) for orders above USD 89. This special offer is valid only for countries covered by international registered post/EMS only. Enjoy a free shipping upgrade to Express (from Aramex, Citi-Link, Orion etc.) for orders above USD 299 and Expedited Shipping Service (from DHL, FedEx, UPS etc.) for orders above USD 499.
International registered post reaches in 15 – 30 business days, EMS reaches in 7 – 12 business days, Express Shipping Service reaches in 4 – 7 business days and Expedited Shipping Service reaches in 02 – 04 business days in most countries. All shipping lead times are estimates that are subject to customs inspection and clearance at destination. Customers from countries outside the international registered post/EMS coverage will have to buy a shipping upgrade or will be subject to higher minimum spends. All orders can be tracked online except the ones sent via international registered post. Trade-in offers may or may not qualify for these free shipping upgrades. The regular shipping fees is a flat rate of USD 29 for EMS, USD 49 for Express Shipping Service and USD 69 for Expedited Shipping Service. For any queries kindly contact us and we are more than happy to assist you. 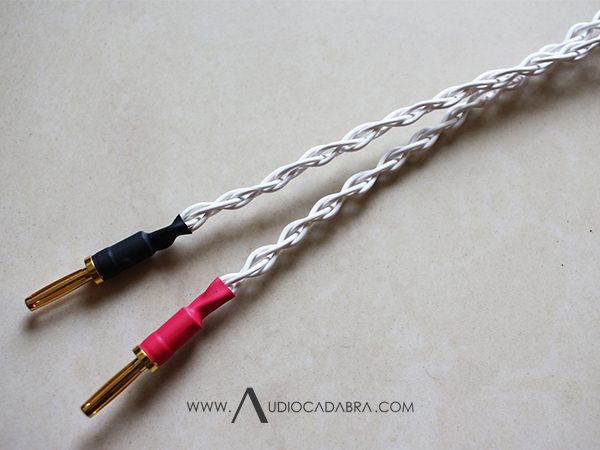 Audiocadabra custom orders: 05-15 working days. 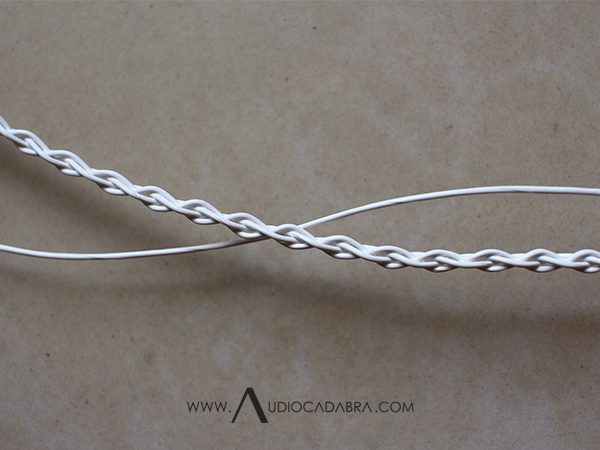 Audiocadabra bulk wire: 05-10 working days. For more information about our products please refer to our FAQ page. For any queries kindly contact us and we are more than happy to assist you. Audiocadabra™, Maximus™, Optimus™, Ultimus™ and Xtrimus™ brand names, its signal flow/arrowhead logo and “the closest approach to the original signal™” motto are trademarks and copyrights of Audiocadabra™. Copyright © Audiocadabra™ 2019. All rights reserved. All content on this site is property of Audiocadabra™ Accessories. No part of this website may be reproduced without our express consent. Backlinks are allowed. Any third party trademarks and copyrights mentioned on this site are the property of their respective owners.